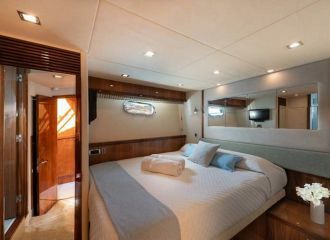 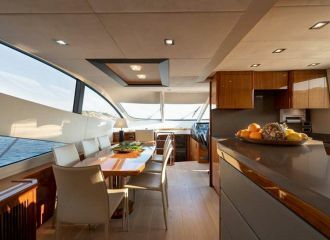 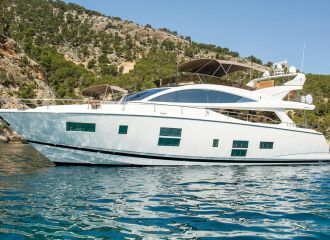 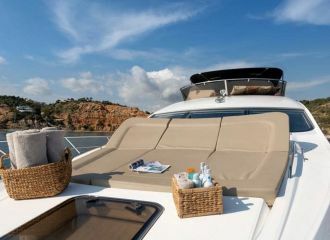 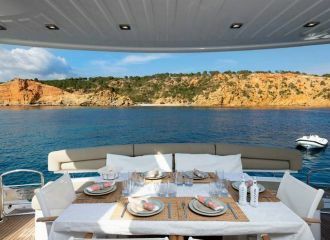 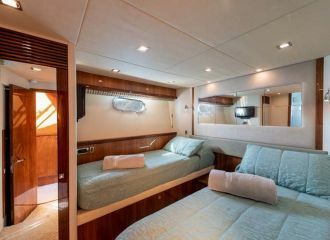 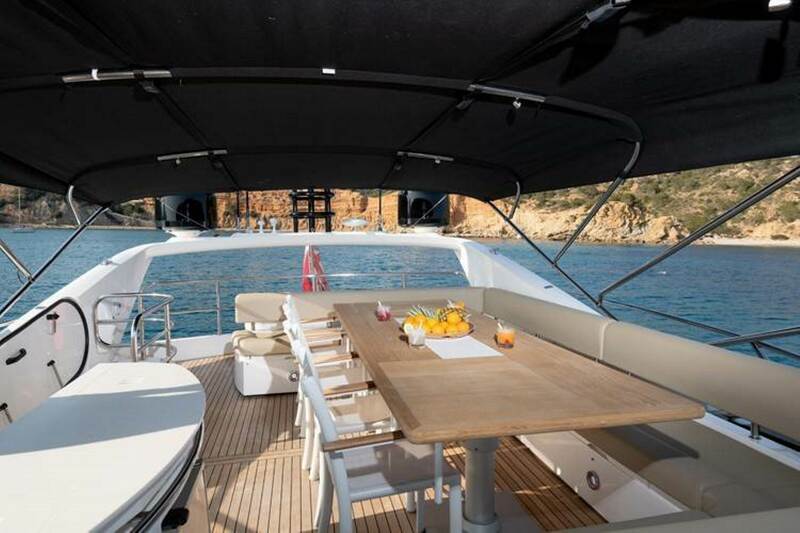 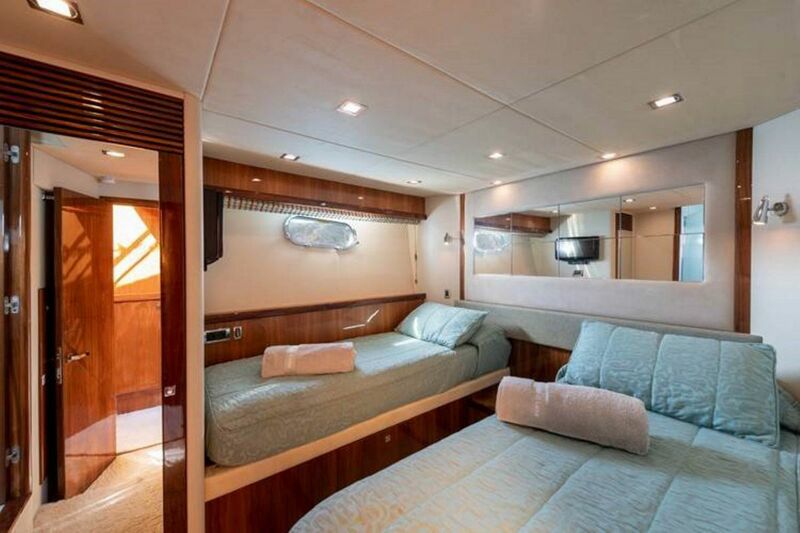 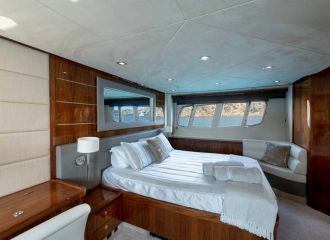 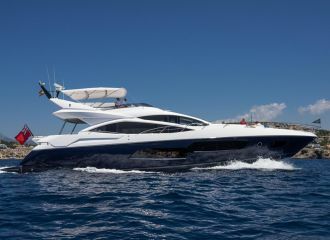 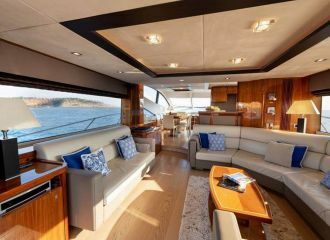 Available for charter in the Balearic Islands, this Sunseeker Manhattan 70 offers great deck areas and a comfortable interior. 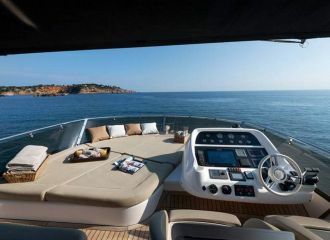 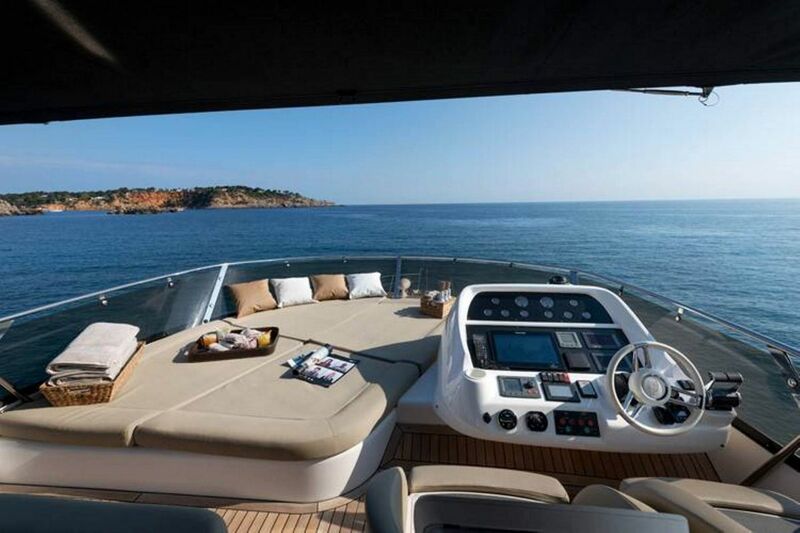 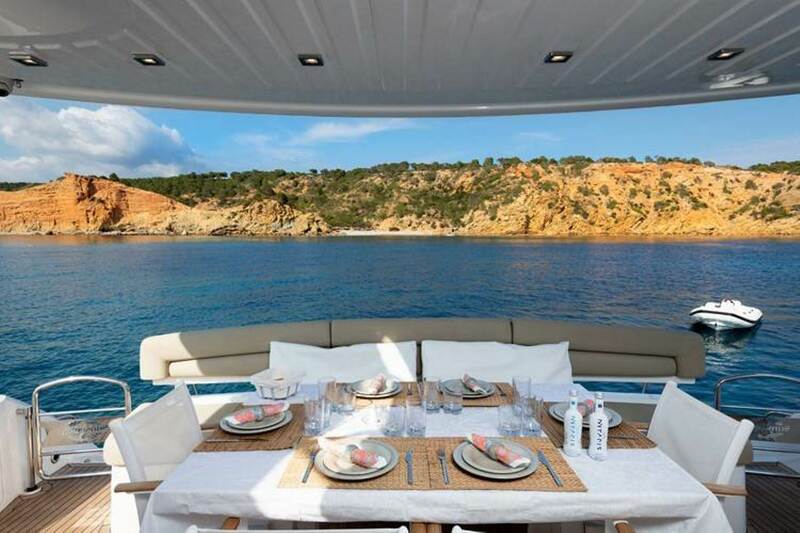 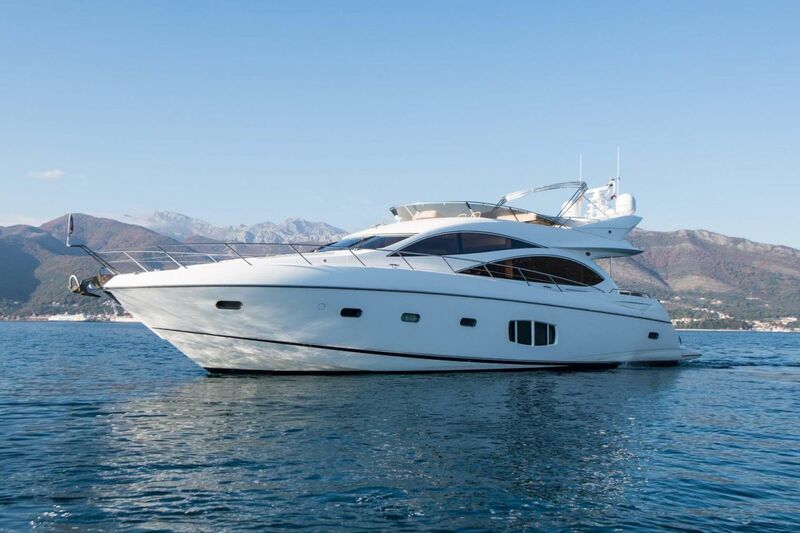 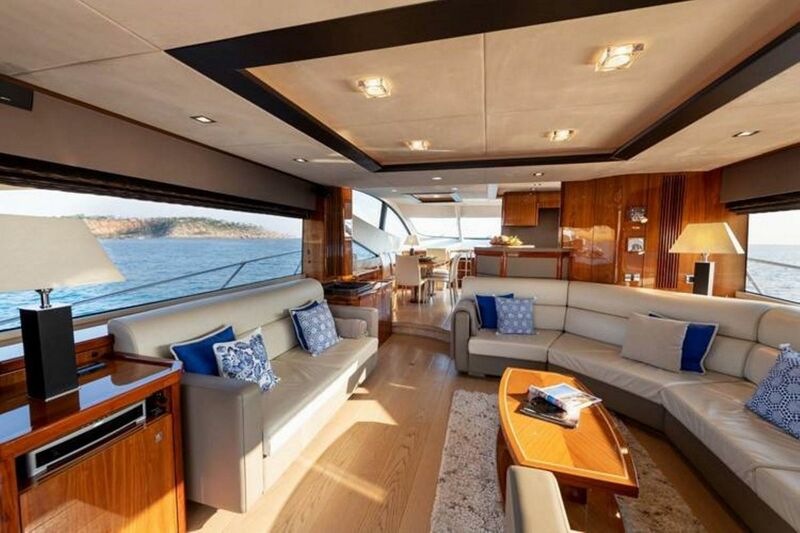 With a good cruising speed, this Sunseeker yacht allows you to explore a maximum of areas over a period of one week during your Balearics yacht rental. 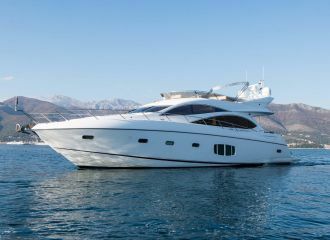 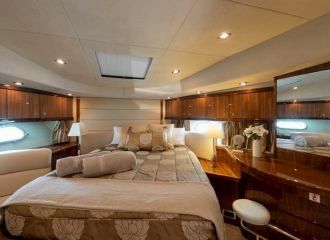 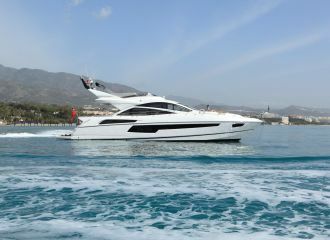 This Sunseeker Manhattan 70 can cruise with up to 12 guests during the day and accommodate 8 guests in 4 cabins overnight. 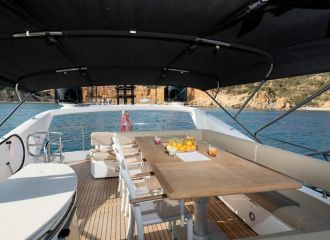 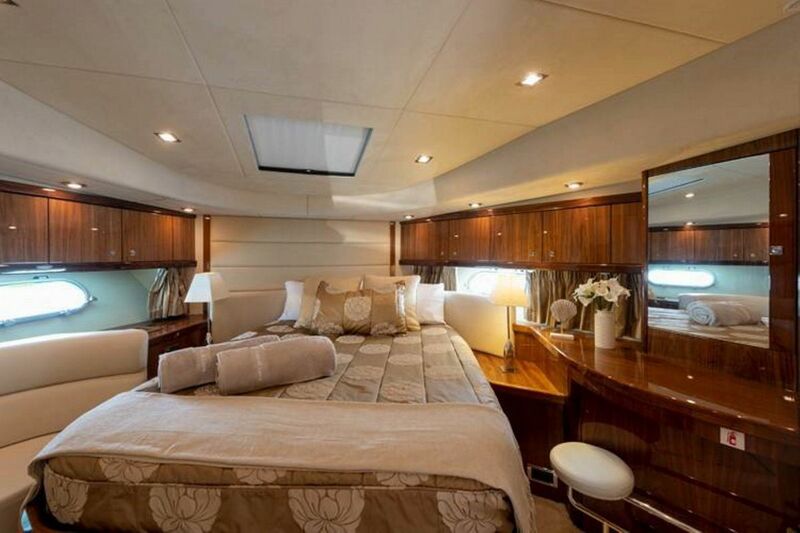 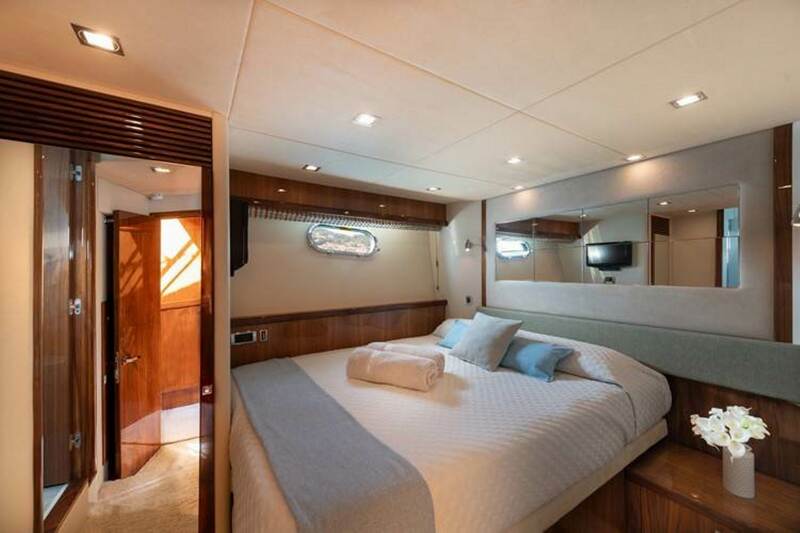 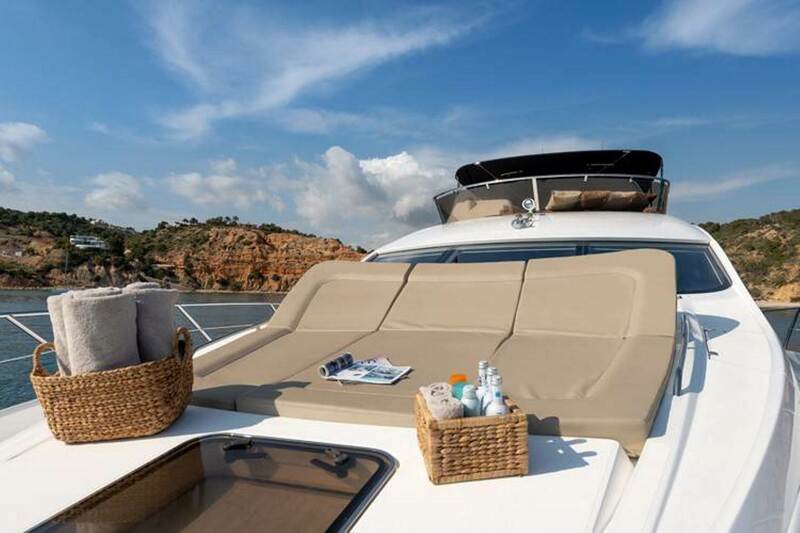 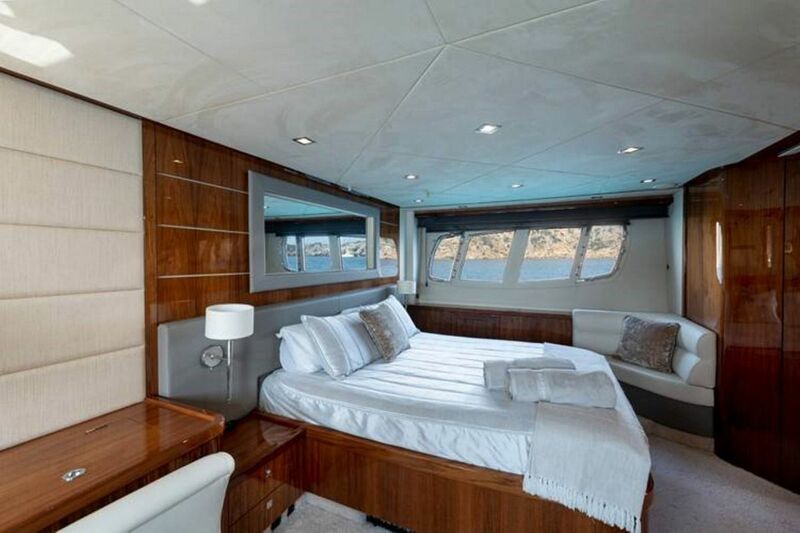 The flybridge was recently refitted and is probably the favourite area of charter guests with its alfresco dining, large sunbathing area as well as wet-bar and teppanyaki station.